Believe it or not, INOJ never really had aspirations to become a pop star. In fact, at the time she hit it big with the single “Love You Down” in 1997, she was mainly focused on writing. However, a chance call and encounter with Lil Jon led to Joni backwards, or INOJ, to re-do the “Ready For The World” song into a hit. 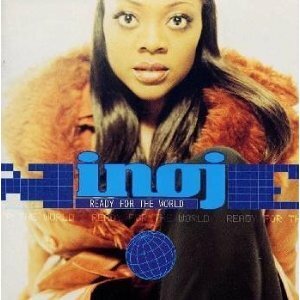 INOJ followed that success up with a re-make of Cyndi Lauper’s “Time After Time” and the rest, as they say, is history. Dave O recently SKYPED with INOJ to discuss the amazing story of how she rose to fame and how quickly it happened, what it was like working with Janet Jackson and what’s she’s up to today, including yes… country music..!!??!! A must listen for anyone who loves 90’s music and wholesome, down to earth performers!